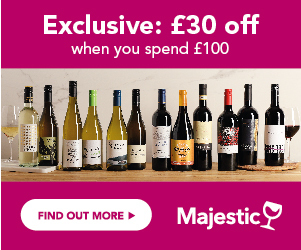 Find the best offers for delicious Calvet wines from top UK Wine merchants. Let us inspire you with our Deal of the Day & exclusive vouchers. Compare current UK prices, read reviews and check our Price History charts. Sign up to Price Alerts to be the first to know about a discount on your chosen wines! Calvet is a traditional Bordeaux company, which has been in existence for almost 2 centuries, and is one of the few that has weathered the testing times, that French wines have been through over the last few decades. Initially known purely for its traditional clarets, the Calvet brand, under new ownership, has expanded its portfolio across a number of French regions, and has focussed on a more modern approach, and move towards labelling using varietal names. Despite the fact that France has lost its dominance of the UK market in the last 15 years, to Australia, and is now third in place, with 14% share after Australia and USA, Calvet is one of the few French companies that has thrived. Historically France has dominated the UK market, with its traditional wines, such as Bordeaux, Burgundy, Chablis and Cotes du Rhone, but with changing times and the arrival of simply labelled Australian wines, French wines started to lose their appeal. By changing its strategy and modernising its styles of wine, Calvet have relaunched themselves on the UK market, and are now the second biggest French brand, after JP Chenet. They are also the 26th largest wine brand in the UK, up from 37th position last year, and testament to the success of this revitalised brand. Calvet is a French wine producer which actually began in the Rhone in 1818, set up by Jean Marie Calvet, but is better known as a Bordeaux house, where it was established in 1823. During the early 19th century, Calvet opened further offices in most other wine regions of France, including the Loire Valley. In 1870 his son, Octave built and opened the company’s headquarters in the Medoc area of Bordeaux, a large and imposing chateau, complete with 16,000 square metres of wine cellars, which was then extended several times as the company grew. The company expanded overseas also, opening offices in places as far away as Argentina. The focus was to represent the best quality French wines, from all key areas. In the early 20th Century, Calvet were one of the first companies to really focus on using their name as a brand, and created the recognisable red nameplate, with the soaring eagle emblem. The business was sold to the Whitbread group in 1982, and subsequently to Allied Domecq. After a decade of ownership by big brewing and spirits businesses, it retook independence for a short time, but was soon sold to the giant of the French wine industry that is Les Grands Chais de France. It now benefits from the vast, state of the art production facilities that the company owns, at Caves de Landiras in the Bordeaux region. Today Calvet is the 4th largest Bordeaux brand in France, and sells over 10 million bottles, across over 100 countries. What Styles Of Wine Do Calvet Produce? Calvet is best known for its Bordeaux wines, but also produces wines labelled by both grape variety, and region from across the country, all with the distinctive red Calvet nameplate and eagle on the front label. Calvet Limited Release Sauvignon – fresh, herbaceous, and made in the traditional white Bordeaux style, with a tangy, citrussy edge. Calvet Limited Release Merlot – a soft, juicy, ripe Merlot, also from Bordeaux, with lots of ripe, blackberry flavours, and a smooth, mellow finish. Calvet la Rougerie Bordeaux – a traditional claret, made in a modern style, and blended from select parcels, with a high proportion of Merlot in the blend – ripe, currant fruit and a cedary edge. Calvet Prestige Bordeaux Blanc – a lively, zesty white Bordeaux, which epitomises the house style of Calvet, produced from a blend of Sauvignon Blanc and Semillon – lively, balanced, with a fresh, vibrant, herbaceous style. Calvet Prestige Bordeaux rouge – a ripe, rounded, smooth claret, with an elegant blackcurrant, mint and smokey character – full, fruity and medium bodied. Calvet also produces ranges of wines from other regions of France, including a Touraine Sauvignon and a Rose d’Anjou from the Loire; and Minervois and Costieres de Nimes from the Languedoc region. Calvet Sauvignon and Prestige Bordeaux blanc – these fresh, zesty styles make them a good match for zingy salads, mussels, seafood and steamed, Asian-style fish. Also good with chicken Caesar, and baked salmon. Calvet Merlot – this ripe, lively red is great with everyday suppers and lunches, such as burgers, barbecued ribs, hotpots and cheesy lasagne. Prestige Bordeaux Rouge – an elegant Claret, which would be perfect with roast beef, slow roast lamb, mature cheeses, and grilled steak.